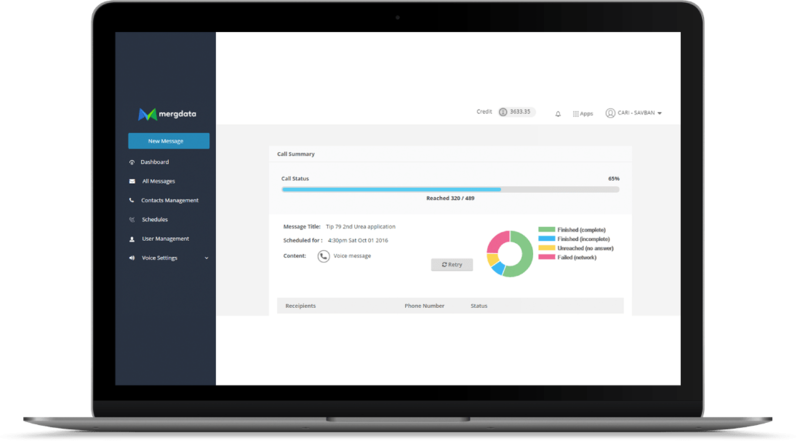 Data-driven communication platform for businesses working with last-mile customers. Increase productivity of smallscale farmers through high-quality information services and in-person trainings. Send customized voice and SMS messaging in any language. Instantly deploy mobile campaigns anywhere in Africa, and across the globe. Compatible with smartphones and feature phones.